We went to Advance to see a particular program called Launch. Launch is for “anyone with a dream.” It provides “tools, resources, and mentorship to empower our neighbors to develop a plan and start a business.” Since 2014, Launch has vetted 37 participants’ business ideas and 60% are now operating their own businesses. The Launch experience takes place in south Memphis where economic activity and vitality is below other parts of the city. Launch is making an economic and discipleship difference. Advance teaches that God has entrusted each of us with “Talents” (see the parable of the three servants in Matthew 25.14-30) that are to be employed in the landscape of or communities. As we sat in on a class, many of us who went could envision the good a course like Launch could have in Springfield and in our own lives. I’d invite you to pray with us about Launch, and next steps here in Springfield. Beyond our primary focus, we were able to take in the many ministries of Advance Memphis. They are similar in their community impact ministries, being just a few paces ahead of Schweitzer. What we saw challenged us and encouraged us. An interesting statement made to our team is that many churches will take up and read a book like “When Helping Hurts” and then disengage from ministries of mercy and justice because they do not want to do harm, but they never develop a plan for doing good. It is a joy to be a part of a community where learning leads to action, where we keep striving to Do No Harm, Do Good, and Stay in Love with God. 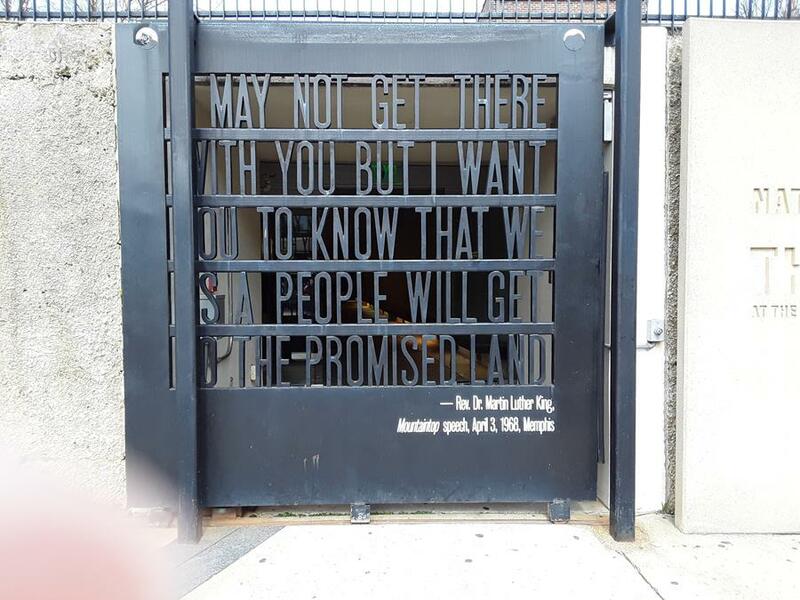 Additionally in Memphis, some of us visited the National Civil Rights Museum built around The Lorraine Motel. 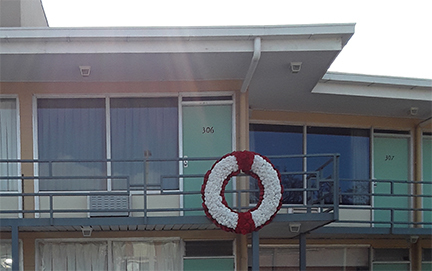 The motel is the site where Rev. Dr. Martin Luther King, Jr. was killed on April 4, 1968. The museum recounts the deep injustices that humanity can, did, and does deliver upon our fellow sisters and brothers. It also speaks of the hope and work for justice present in our history and needful today. There was a lot to see in two days, many things the Lord was asking us to pay attention to, in Memphis, in us, and in Springfield. As you make your travels near and far, and as you jot around this city, what is the Lord drawing your eye to that you are to pay attention to? What talent(s) has he placed within you or within Schweitzer that needs to be put into the landscape of our communities? What is a next step in your life in Doing no Harm, Doing Good, and Staying in Love with God? I am thankful for you and look forward to worshipping with you this weekend.